As people cannot hold or touch the products while online shopping, it is your responsibility to show them the enticing photographs to attract their interest. To make the customer decide whether or not to buy the product, high quality images play an outstanding role. Some portals have irresistible images which never let you leave without buying the products. So display each product from different angles and if possible, give a demo also. A picture is worth thousand words, you know that well, isn’t it? 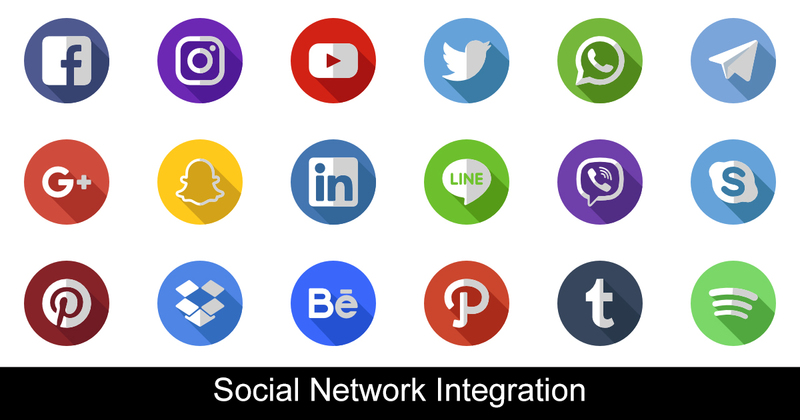 To get a grip of the untapped and new market, social media integration comes in handy. No doubt, advertisement is great in expanding your store but word of mouth is still considered to be the best way when it comes to sales boost-up. Upload any product image with the SKU code and the link for the potential customers. This way, they will not have to visit the portal but buy the product directly. Ever got trapped by the bad ecommerce portal and the terrible customer service? Because one cannot reach you directly on the face, it is your duty to offer the commendable customer support to your valued customers. Yes, people want to have the best direction and assistance before or after the purchase so make it the topmost feature of your portal. Display the LIVE CHAT option on every page so people can ask you for any query. By being promising to the customers, they will buy more at your store especially the new customers. Lure the customers by offering the free shopping facility as people like buying more on the sites with free shipping. Yes, you might have to cut down your profit levels a little bit but doesn’t make much difference when there are more customers at your portal. Offer this luring bonus to your customers to leverage in maximum profits. Almost all customers are possessive of their money and don’t want to make prepaid orders. So always give the option of cash on delivery to your valuable customers. Let them pay as per their convenience and also not all the customers have access to online payment options, it would be easy for everyone to make the purchases on your portal. People browse on the go while travelling and at times, they just explore the store for time pass. To catch that crowd, make your site mobile responsive so that it works fine at every device. Let them discover the new and best products on phone as mobile friendly stores boost your sales to an award winning level. Better to adopt these tips to make your ecommerce store perform well in the digital world.